Most parkrun venues are named after an actual town, locality or the venue the run takes place at. 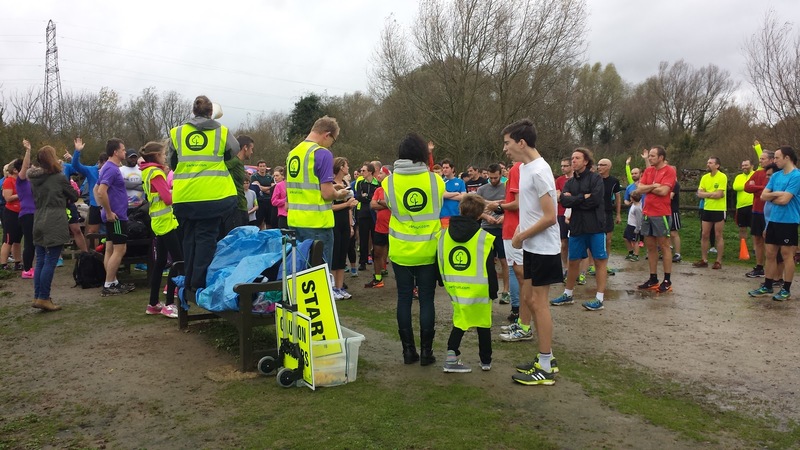 Malling parkrun is a little different in that it is named after part of the district which it lies within (Tonbridge and Malling). As I understand it, as there is already a parkrun in Tonbridge there was a desire to use Malling in order to reflect and balance out the use of both names of the borough. 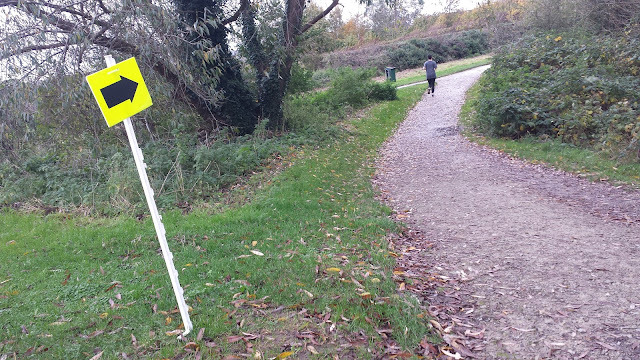 This is fine, but it can be a tad confusing for visiting parkrunners trying to work out where they are heading. There are towns to the south of this venue called West Malling and East Malling, but not one called Malling. West Malling was historically known as Town Malling, but that is as close as you get. In any case, the venue for this event is actually closer to New Hythe, Snodland, Larkfield and Leybourne than it is to either of the Mallings. 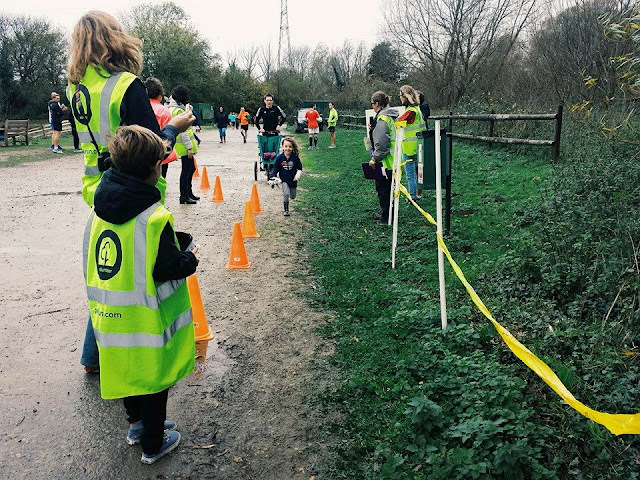 The point is, if you are planning to visit Malling parkrun make sure you check out the map and directions on the venue's course page before leaving home so that you understand where you are actually heading. Also pay special attention to where your sat nav is directing you because it could take you far, far away from the actual venue. Ours started to take us off in a weird direction after we left the M2 and it didn't feel right so we pulled over and sorted it out. We also managed to tear a hole in the side of one of our tyres in the process of turning around. Whoops. So. 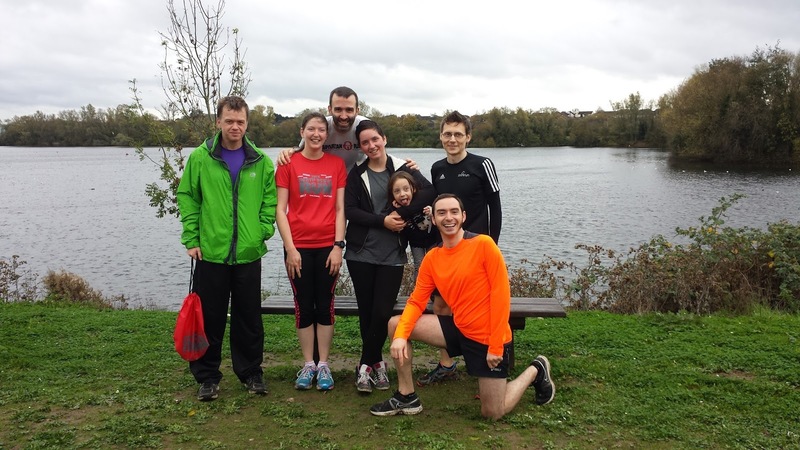 The venue for this run is Leybourne Lakes Country Park (Leybourne Lakes parkrun would have been a perfect name, don't you think?). The 230 acre (93 hectare) country park was formed from the remains of a former sand and gravel works. Extraction for these minerals took place between 1946 and 1977. Extensive planting and landscaping took place when the area underwent a restoration project in the late seventies. 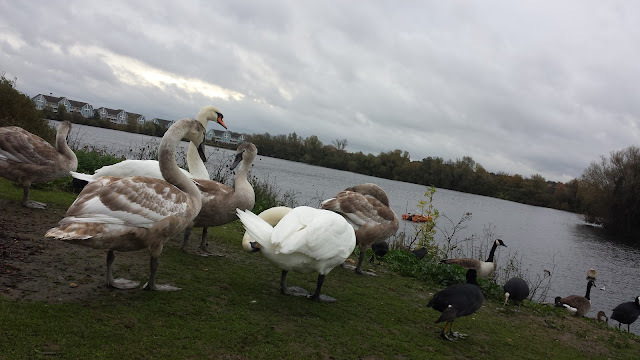 The country park itself was opened in 2004 and is now home to many forms of wildlife. Of course the big feature of this park are the lakes, and they are well used for watersports such as windsurfing, kayaking and scuba diving. 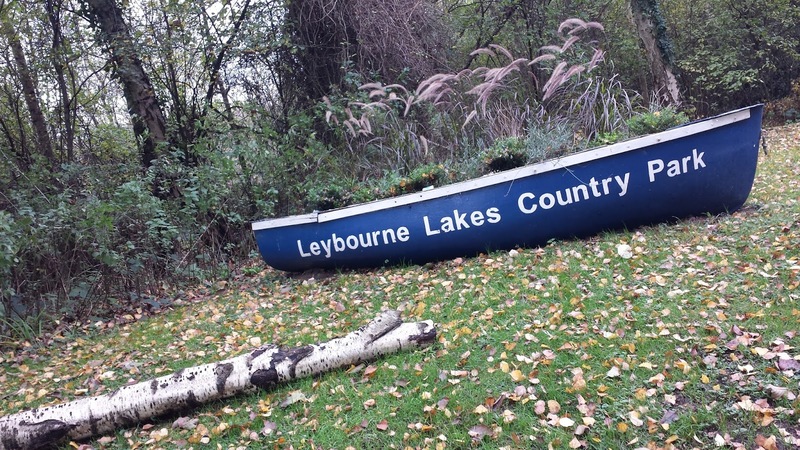 The Leybourne Lakes Watersports Centre is the base for these activities. Triathlon is another sport with a strong connection to these lakes and many events are held throughout the year here. The venue has its own car park, but unfortunately it isn't very big so I would expect it to fill up every week. 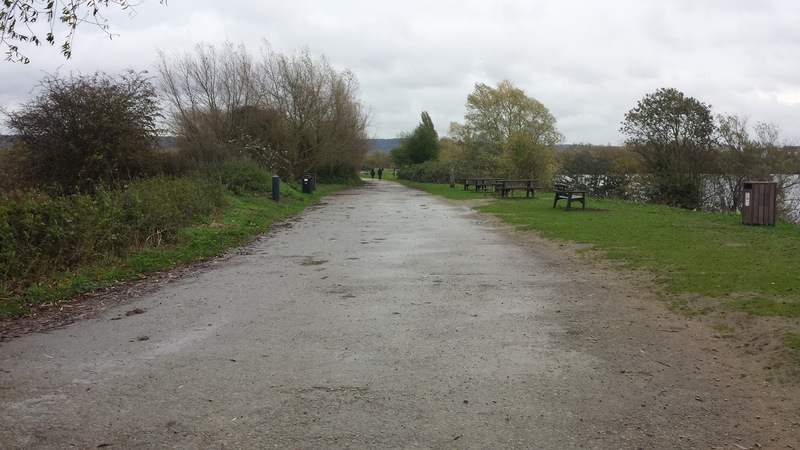 It costs 80p to park for up to four hours and is easily accessible from the A228 dual carriageway. For anyone residing close enough to consider cycling, there are some bicycle racks in the car park and also plenty of other tethering options over at the run start/finish area. New Hythe looks to be the closest train station, but there is also one at Snodland. The toilets are situated next to the main car park and served their purpose nicely. It takes a couple of minutes to walk from the car park down to the start/finish area, which is on the north bank of the main lake. The run takes place at 9am every Saturday and features two clockwise laps of the main stony gravel footpath around the lake. We visited the venue on their sixth event and even at such a young age they were already attracting around 150 runners each week (231 on the week we visited due to other local cancellations). The start area is wide enough to accommodate a decent number of runners and the paths are spacious enough to allow runners and other park users to co-exist. We decided to buggy run the course and it was a little bumpy going over the stony path, but it is still easily buggy-runable. 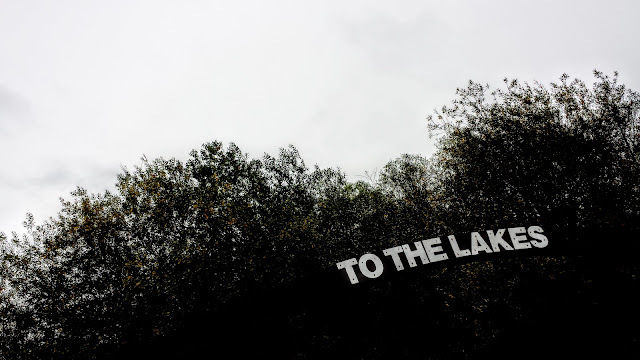 As the runners work their way around the lap they very rarely lose sight of the lake and there is an abundance of lush greenery to soak in. The course was signed at key points, but as the course is simple to follow, no marshals were actually positioned out on the course itself. There are plenty of twists and turns to keep things interesting and as you near the end of the lap you can look across the water to the start/finish area which I thought was quite cool. 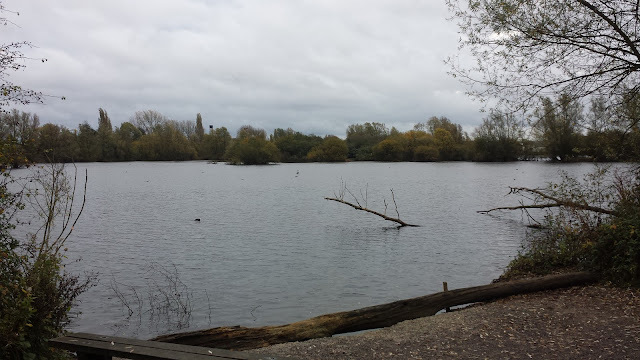 It's not always as calm and tranquil as you might imagine; the reason for this is that part of the course runs adjacent to the fairly busy Leybourne Way main road. This certainly doesn't spoil what is a really nice venue to run at, and as it is a flat course it is a good choice for going for a quick time. Sadly, there is no cafe at Leybourne Lakes Country Park. I hear that a mobile coffee van is usually present but it wasn't there the week I visited. I think this may have been due to the heavy rain that was forecast. Somehow we managed to get around the course, have a chat with the event director, get back to the car, replace the punctured tyre (big thanks to Alec) and get back on the road before the torrential rain was unleashed upon us.